Before adoption of the agenda, the suspension of the National Gambling Board (NGB) was raised again. After that, Dr W du Preez briefed the Committee on the South African titanium beneficiation with a focus on downstream manufacturing technologies and products. Members felt that the time had come to pursue the South African titanium beneficiation opportunity. Clarity was sought on where South Africa was in terms of the implementation of the national foresight; on what the impediment factors were that hinder South Africa from taking on global market opportunities; and on the move to use the cheaper titanium powder and how it would change the industry. Dr M Horak also briefed the Committee on beneficiation in terms of indigenous knowledge and plant biodiversity with a focus on the traditional use of indigenous plants to treat human ailments. He stressed that the traditional healers side had been neglected but their knowledge could be traded. Members supported the idea, which was viewed as an essential mechanism to empower people from rural areas. Clarity was sought on impediments that hindered beneficiation in that regard and on what could be done to ensure the traditional healers manufactured their essential oils and medicinal plants. The Chairperson introduced Advocate Charmaine Van der Merwe, Senior Parliamentary Legal Advisor, who would be advising the Committee on legal matters. Adv Van der Merwe stated that she had addressed issues relating to the suspension of the National Gambling Board (NGB) and that members of the Committee were aware of the fact that the NGB should have responded to the Committee on outstanding issues by Friday. She commented that although every a member had a right to exercise an oversight visit, rules had to be followed and a member could not visit an entity for the purpose of oversight as he or she pleased. The Chairperson requested the Committee to respect the resolutions taken in the meetings. If an entity was given time to respond to queries, it was expected that they meet the deadline. A request for an extension of time should be considered provided the request was rational. The NGB should be given the benefit of doubt and wait for them to report back to the Committee. Mr G Hill-Lewis (DA) said that the Chairperson had been misinformed. He and Mr D Macpherson (DA) had visited the NGB, not in relation to the suspension of the NGB board but on issues concerning the lease of the building. He would not allow the Chairperson to rely on assumptions. She should rather request the NGB to provide the allegations in writing, stating that they conducted an oversight visit in relation with the suspension. Mr Macpherson seconded Mr Hill-Lewis and remarked that he was surprised that the Chairperson made such remarks in the meeting. On the note of suspension, he pointed out that there had been email correspondence, which the Chairperson had not responded to, and requested the Chairperson give attention to the outstanding queries. The Chairperson responded that she made those remarks because most of the Committee members were new and needed to know that such process was incorrect. On the issue of correspondence, she said that matters raised had been responded to in previous minutes and if Macpherson felt that there were outstanding issues he should raise them again, in writing. The Chairperson objected to the suggestion that the NGB should produce an allegation in writing. The Chairperson noted that an apology was received from Mr F Shivambu (EFF), who did not provide a reason of his absence. She asked Members to state reasons when sending in apologies. The Chairperson welcomed Dr Willie du Preez, from the Central University of Technology, Bloemfontein. Dr du Preez stated that he would focus on the introduction, SASOL (a beneficiation success), the South African Titanium Metal Industry Strategy, the role of the Titanium Centre of Competence, government support for titanium, beneficiation, success factors, and the impact of successful beneficiation. Beneficiation had been on the agenda of South African governments over the past century. South Africa had some good success on beneficiation of local resources in its history. However, more so than in the past, beneficiation had become a national imperative for sustained growth of the economy. We could draw inspiration from the past and take up current challenges with confidence. Sasol was one of the largest multi-national companies, originating in South Africa. It was established as a government controlled company in 1950 and produced the first synthetic petrol in 1955. It is listed on the Johannesburg Stock Exchange and the New York Stock Exchange. It employed 34 000 people worldwide, operated in 38 countries and exported to more than 100 countries. Dr du Preez recommended improvement in mineral processing technologies to enable the more cost-effective and wider exploration of mineral resources taking environmental requirements into account. The government and industry should jointly support research development in the titanium and titanium oxide production from local raw material. Dr du Preez stated that titanium was strong compared to stainless steels and super alloys and it was exceptionally corrosion resistant. Since the 1950s titanium had been an aircraft metal, first for military, later for commercial crafts. He stressed that titanium was needed in the South African industry and that the focus should be on downstream manufacturing technologies and products. He was convinced that a new South African titanium industry would boost economy and create job opportunities. By means of graph, he demonstrated the role of the titanium of competence. He was happy to announce that the government was supporting titanium beneficiation. In that regard, a Titanium Inter-departmental Task Team was established, representing the Department of Science and Technology, the Department of Trade and Industry, the Department of Mineral Resources, the Department of Public Enterprises and the Industrial Development Corporation. There were some factors indicating success in titanium beneficiation. It was positively impacting on lives through additive manufacturing, such as the production of laser sintering, customised lower jaw implant, and custom designed titanium implant. Dr du Preez concluded that a shared long term vision was the key to success and such vision would be achieved provided that it was given national support. Mr B Mkongi (ANC) welcomed Dr du Preez’s input and sought clarity on where South Africa was in terms of the implementation of National Foresight Recommendation and, referring to raw material versus market, on what the impediment factors were that hindered South Africa from taking market opportunities. Prof CT Msimang (IFP) sought clarity on the connection between Sasol and titanium. The Chairperson sought clarity on the move to use the cheaper titanium powder, how it would change the industry, and whether energy was a problem. Dr du Preez responded to Mr Mkongi. He explained that the Central University of Technology had some work done on downstream manufacturing beneficiation. There were good successes. Energy was not a problem as it had power generators. The local market had also grown. Responding to Dr Luyenzi’s question, Dr du Preez stated that Sasol had been used to illustrate that it was a South African industry that made it. And if it succeeded, titanium industry could succeed too. There was no direct link between Sasol and titanium. Mr N Koornhof (ANC) remarked that the titanium industry should learn from Sasol. He sought clarity on the challenges faced by the titanium industry: Were the major obstacles derived from the public sectors, lack of investment or energy? Mr Mkongi appreciated Dr du Preez’s vision on titanium industry and sought clarity on whether it was a shared vision among all stakeholders. He remarked that it was exciting to learn how titanium was impacting on the lives of the people and asked what other plans that could reinforce titanium industry were. The Chairperson noted that job creation was estimated at between 700 and 950. The market was still green; there was no pilot project rolled out; how would those jobs be protected? Why was the titanium industry focusing on titanium powder rather than energy? Dr du Preez replied that he believed that South Africa could benefit from titanium beneficiation in terms of Primary Industrialisation Plan. It would also be to South Africa’s advantage if other economic players would come on board. The South African Titanium Metal Industry project was at the pilot phase. Some problems were being experienced at this stage but the industry could adjust so that it can move forward. By 2015, the industry should have investors who could stimulate commercial activities. If insurmountable problems were encountered the industry could consider a new approach. But to get where the industry should be, the investment of at least R250 million was needed to launch a pilot project. It was important that there was an optimistic group that was excited to work on the pilot project. Referring to obstacles, he replied that it was not easy as the process was difficult but, with perseverance, the industry would be a success. Referring to the shared vision, Dr du Preez replied that his entity had communicated the vision to various players and they had shown support and were willing to come on board. On the issue of job creation, Dr du Preez replied that a small group operated additive manufacturing machines and it would be employing people to work on commercial activities. Another group was working on research projects. As he spoke, the titanium industry had established international linkage with other partners based in Australia, New Zealand, and Germany. The Chairperson thanked Dr du Preez and commented that the members of the Committee were not scientists. Members appreciated his wide knowledge and his presentation was constructive in respect of understanding how people benefited from the titanium industry. Minutes of 12 September 2014 were considered and adopted without amendments. Minutes of 16 September 2014 were considered and adopted with minor corrections. Minutes of 19 September 2014 were considered and adopted with minor corrections. Dr Horak talked about an important issue of adding value to South Africa’s indigenous knowledge and plant biodiversity through scientific innovation. He focused on the background of South Africa’s knowledge and biodiversity resources and rural agro-processing enterprises in respect of lessons from trenches. The CSIR was a leading technology development institution that contributed to socio-economic development of the country through knowledge creation and knowledge application activities and contributed to national imperatives of creation of knowledge, rural development, human capital development and meeting of basic needs. With regard to South Africa’s plant biodiversity, he noted that 25 000 plant species occurred in South Africa and in highly diverse ecosystems. Local traditional healers used the indigenous plants. However, knowledge of the medicine value of indigenous plants was not yet leveraged for the benefit of sustainable development in South Africa. Various research institutions and universities had researched indigenous plant species. Dr Horak stated the reasons why South Africa should focus on Essential Oils and Medical Plants (EO&MP). One of the main reasons was that EO&MP had a lucrative global market but South Africa did not yet participate significantly in these markets, despite having these indigenous plant resources. There was a need to develop the EO&MP sector, by creating projects to facilitate participation of rural farmers. The EO&MP products would be produced and thus commercialised. He proceeded to provide a framework for developing the sector. The CSIR collaborated with a consortium of traditional healers, which approached the CSIR during the 1990’s for that purpose. The result was the invention of a novel insect repellant product. Again, the CSIR innovation led to community based cultivation of indigenous plant species, distillation of crop to give essential oil, formulation of essential oil in candles, and patent mosquito and fly repellent products. The CSIR has extended its collaboration with regional research institutes, for example the Uganda Industrial Research Institute. Dr Horak briefed the Committee on the requirements needed for establishing an essential oil production site and the legislative framework regulating to such production. He concluded that agro-processing of high value essential oils and medicinal plants under irrigation was a viable opportunity for rural farmers but business models for enterprises on communal land was not yet proven and that the legislative framework was stiffing growth of the sector. The Chairperson sought clarity on the graph of conceptual framework for developing the sector and on whether the existing legislative framework could be amended or what the barriers were to facilitating participation of rural farmers. Dr Horak replied that the Department of Agriculture had a mandate which excluded some species. Major obstacles were derived from conflict of laws and the reluctance to issue licenses to traditional healers. Dr Z Luyenge sought clarity on the kind of doctors who received licenses to operate in the EO&MP sector and what the position of traditional healers was. 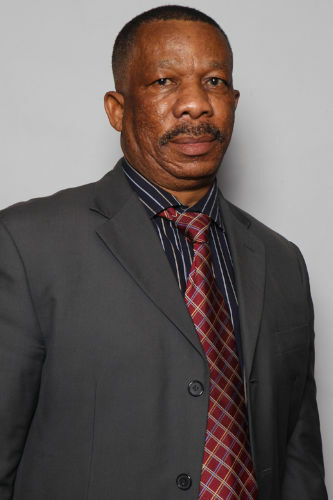 Mr T Samanga, Chief Director: Beneficiation: Department of Trade and Industry explained that traditional healers were no more referred as “witchdoctors.” It was time people accepted that they had knowledge which must be used for the benefit of development. But the Department was not going to give them licenses to operate on their own account. They should collaborate with other players in the EO&MP sector. The Department was interested in utilising their knowledge to develop that sector. Dr Horak agreed. The custodian of the indigenous plants was the Department of Environment Affairs. Referring to the licensing traditional healers, it was surprising that it was difficult to understand the role of traditional healers who had been there for centuries. The Chairperson remarked that legal barriers were pointed out. If the Committee would assist that sector to develop, it was imperative to review the legal frameworks. Mr Samanga agreed with the Chairperson. The traditional healers’ knowledge in relation to indigenous plants for the treatment of human ailments should be promoted in terms of trade. Mr Macpherson appreciated the EO&MP sector. It had wonderful projects that would empower people in rural areas. He sought clarity on the major impediments inhibiting the success of these projects. Dr Luyenge stressed that these EO&MP projects were essential and sought clarity on whether some traditional healers who could heal particular diseases could be issued with practicing licences. Dr Horak replied that South Africa was not yet participating significantly in the global market and there was a need to market itself. There were many indigenous plant farmers and traditional healers in South Africa who needed support of the Department of Trade and Industry, in favour of socio-economic empowerment. The Department should create a fund that could be assessed by people. So far, the University of Pretoria assisted indigenous plants farmers in commercialisation. The Chairperson thanked Dr Horak for his insightful inputs and reiterated that the legal frameworks needed to be revisited. Mr Samanga said the sector was challenged with an absence of the skills and how to harness the skills it had to ensure retiring people continue to be activists. In Africa, knowledge is passed on from a parent to a child. How would retired people pass on their knowledge to young researchers? The Chairperson replied that when we know that skills are leaving us, we have to see whether we have benefited from those skills. If not yet benefited from it or still needed, we should not allow them to retire. In that context, she requested Dr Horak not to retire when his expertise would be still needed.